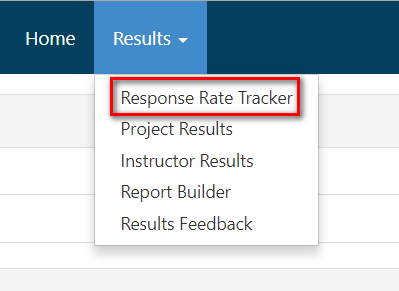 Alternatively, you can also access the most recent project response rates from the Response Rate Tracker Widget on your instructor dashboard, as shown below. Number of those enrollments who Responded (this includes opted-out responses). The overall Response Rate. This includes any opted-out responses as respondents. If you enabled the Opt-Out feature for a project, you can also see how many respondents Opted-Out of surveys and the Percentage of overall Enrollments that Opted Out. You can then see the total of actual respondents and the response rate, without the opted-out responses counting as respondents – Responded With Opted-Out Removed and the Response Rate with Opted-Out Removed. 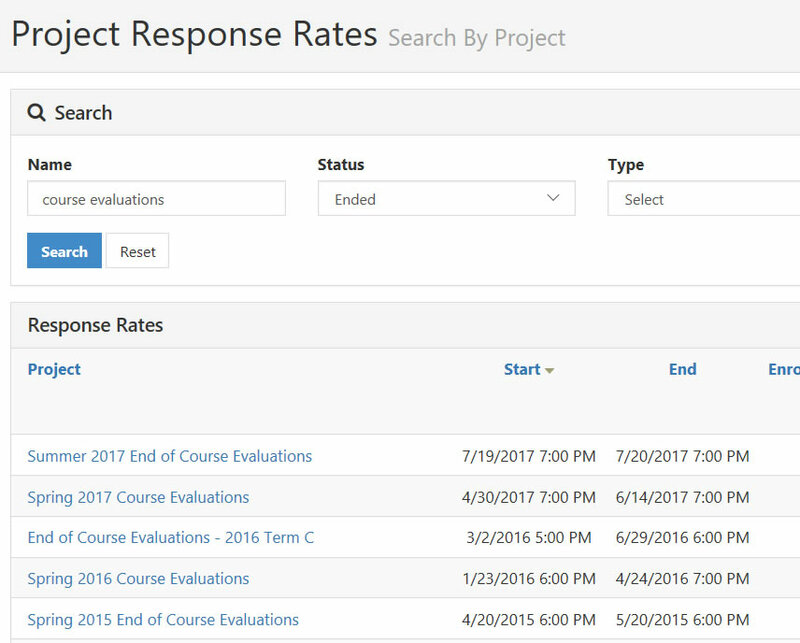 Click on the project name to view the course-level response rates. Included at the course-level is Instructor Name and Course information. By clicking the View icon in the far right column, you can download the Respondents and/or the Non-Respondents report, which is an Excel file that displays which respondents have and have not submitted surveys for the course(s). Respondent / Non-Respondent Files will not be available to download if there are less than two (2) respondents for a course. This is designed to protect the anonymity of respondents in the system. Your EvaluationKIT Administrator can increase this threshold.